Almost every game that Valve makes is a big deal. Half-Life reinvented the first-person shooter, showing players and developers alike that a virtual bullet-fest could be more than mindless entertainment. Dota 2 is the reigning eSports king. Counter-Strike and Team Fortress are online mainstays, and the zombie co-op adventure Left 4 Dead broke boundaries in terms of both multiplayer game design and environmental storytelling. And then there's Portal, Valve's insanely popular sci-fi puzzle game. Over the course of two entries, the Portal franchise introduced us to instant icons like the passive-aggressive artificial intelligence GLaDOS, the stoic but lovable companion cube, the neurotic personality core Wheatly, and others. We hope that you enjoyed both Portal and Portal 2 while you played them, however, because you're not getting another one. Here's why. Oh, sure, Valve's made sequels before. In many ways, Half-Life 2 surpassed the original, with better graphics, a more complex storyline, and the game-changing Gravity Gun. 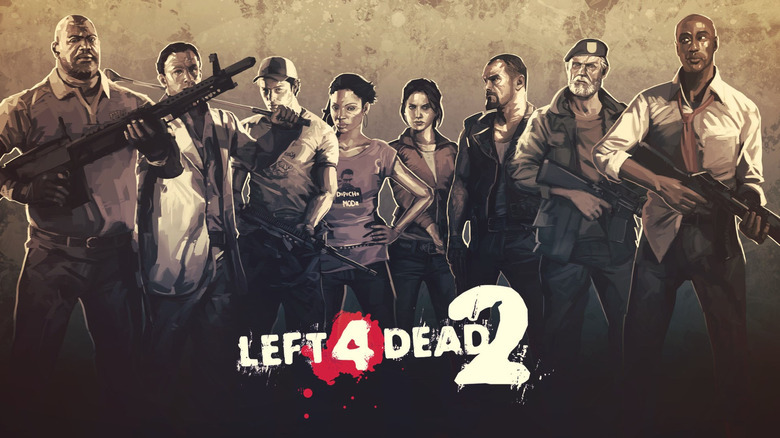 A year after releasing Left 4 Dead, Valve followed up with Left 4 Dead 2, using the same tech to add new features and flesh out the game's lore. Many of the company's "sequels," however, are just commercial versions of fan-made games. Team Fortress started as a DOOM mod, while Dota 2 is a commercial version of a popular Warcraft map. While Valve could make lots of money pumping out proper sequels, the team would rather spend its time working on projects that they find exciting. "We were a single-player video game company that could have been really successful just doing Half-Life sequel after Half-Life sequel," Valve founder Gabe Newell told the Washington Post in 2014, "but we collectively said let's try to make multiplayer games even though there's never been a commercial successful multi-player game." The results — Team Fortress 2, Counter-Strike, and Dota 2 — speak for themselves. In fact, Portal 2 only got made because some Valve employees felt left out the first time around. According to writer Erik Wolpaw, Portal's development team only had seven or eight people, leaving "150 people who didn't get to work on it." After the original debuted, "there were a lot of people who wanted to work on a Portal game," and so Valve made another one. Now, that itch has been scratched. It's time for something new. The mind-bending physics puzzles are only one part of Portal's appeal. The game's subversive, playful, and unrelentingly dark sense of humor is another. Portal and its sequel wouldn't be half as popular today without GLaDOS, the meme-spewing AI that peppers series protagonist Chell (and later helps her, albeit in the form of a potato) as she works her way through Aperture Labs' top-secret areas. Portal's puzzles provide the challenge, but the writing and atmosphere make it truly special. Unfortunately, most of the people who made Portal what it is are no longer at Valve. Kim Swift, who produced Narbacular Drop, the student game that eventually turned into Portal, left Valve in 2009 and now works for Electronic Arts. Writer Erik Wolpaw took off in early 2017 to work on Double Fine's Psychonauts 2, another long-awaited sequel. Chet Faliszek, Wolpaw's co-writer, left a few months later, saying that he needed a change of pace after spending 12 years at the company. Doug Wood, one of Portal 2's designers and animators, retired in 2016. Josh Weier, Portal 2's project lead, departed shortly thereafter. Many talented people work at Valve, and they can probably make a great Portal game. Still, with so many of the key staff gone — especially so many of the people who helped define Portal's signature voice — it likely wouldn't be the same. Fans want more Portal, but they want it done right. With all of those vacancies, that'd be an uphill battle. Valve isn't just a game developer. In fact, these days, it's more of a game-oriented technology company. 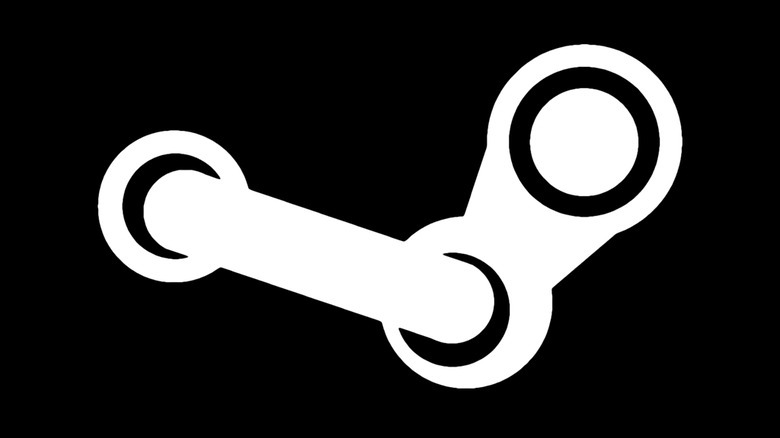 In addition to supporting titles like Dota 2 and Counter-Strike, Valve is the company behind Steam, the digital storefront and download service that dominates the PC gaming market. Steam boasts over 150 million active users, controls roughly 70% of the digital download market, and received over 7,500 new games in 2017 alone. In other words, Steam is a massive cash cow, and is absolutely Valve's number one priority. It doesn't stop there. Way back in 2000, Valve teamed with Cisco to create PowerPlay, an initiative designed to speed up consumer internet in hopes of improving online gameplay. In 2013, the company announced SteamOS, a Linux-based operating system devoted to gaming, and a line of devices known as Steam Machines intended to bridge the gap between consoles and gaming PCs (after almost half a decade, Steam Machines are still around, although they haven't sold as well as Valve had hoped). Most crucially, Valve collaborated with HTC to create the Vive, which some argue is the best consumer-grade virtual reality headset on the market. As of this writing, virtual reality is keeping Valve very busy. The Vive is getting a substantial update sometime in 2018, and most of Valve's in-production games will be virtual reality titles (the only non-VR game that the company has announced since Dota 2 came out is Artifact, a Dota 2-themed card game). With all of these projects, there aren't a whole lot of resources for Portal 3, no matter how badly fans might want it. If you're really hankering to return to Aperture Labs, you can actually do so right now for free, provided that you've have a Vive virtual reality rig (which, to be fair, isn't exactly cheap). In 2016, Valve released The Lab, a VR title set in the topsy-turvy Portal universe. Like Wii Sports and WarioWare, The Lab is a collection of minigames designed to show off the Vive's unique abilities and to educate owners on how to use the device. For long-suffering Portal fans, "Slingshot" is the minigame you're going to want to play first. Mechanically, "Slingshot" isn't nearly as inventive as Portal or Portal 2 — imagine Angry Birds in 3D and you've got the general idea — but it has the same sense of humor. Instead of chucking irritated avians, you'll hurl chattering personality cores (y'know, like Portal 2's Wheatley), all of whom mutter away as they fly through the air. It's hilarious, addictive, and very, very Portal. Meanwhile, GLaDOS herself returns in "Aperture Robot Repair," which is less of a game and more of an interactive comedy sketch. While you play, a narrator walks you through the process of repairing ATLAS, one of the characters from Portal 2's multiplayer campaigns, and in true Portal fashion criticizes you when you inevitably fail. Portal aficionados might also want to check out "Longbow," which lets you mow down the figures from Portal's lab signs with a bow and arrow. The Lab isn't a fully-fledged Portal game in VR — chances are, that'd be a one-way ticket to vomit city. But it does contain many of the things that made Portal great, including a sense of playfulness and a wicked sense of humor. Just because you don't have Portal 3 doesn't mean that there's not more Portal in your life — you just need to look a little harder. While Valve isn't making an official Portal sequel, it's given its blessing to a number of spin-off projects that should keep you so occupied that you won't need a sequel. Bridge Constructor Portal, for example, fuses ClockStone's engineering-based simulation game with Valve's sci-fi puzzler. That means that you'll have to worry about things like how much weight your structure can support while also making sure vehicles driving on top avoid lasers, hit the right switches, and travel through portals safely. 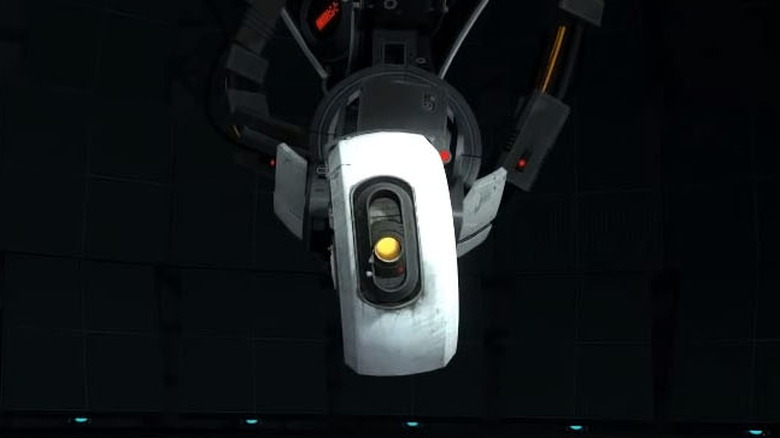 Ellen McLain even returns to voice GLaDOS, offering you instructions and "advice" as you progress. That's not all. The toys-to-life game Lego Dimensions combines Portal with a number of other popular franchises, including various DC Comics franchises, Doctor Who, The Simpsons, Ghostbusters, The Lord of the Rings, Back to the Future, and more. GLaDOS plays a major role in the story, while a complete Portal-themed expansion can be unlocked if you pick up one of the Portal Lego packs. Since Lego Dimensions is for kids, the puzzles aren't as tough as in the main Portal games, but, honestly, building your very own Companion Cube and Sentry Turret is fun all on its own. All that and we haven't even mentioned the well-received (and infinitely playable) board game or the feature film, which is currently being developed by The Force Awakens director J. J. Abrams. You don't need a sequel. That's already enough Portal to satisfy fans for years. 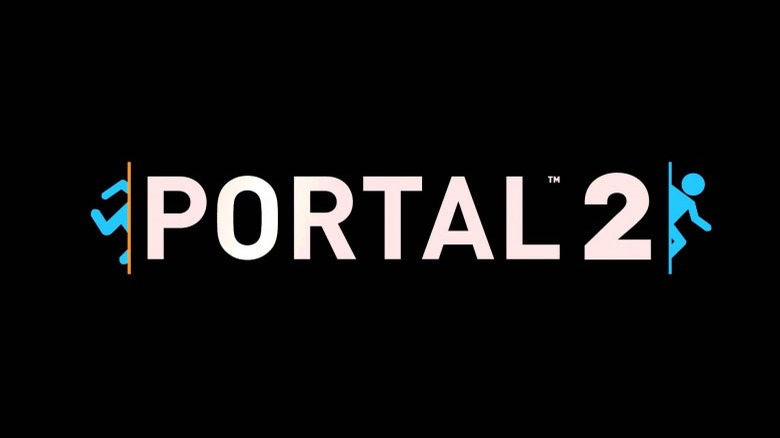 Here's one for the conspiracy theorists: Valve will never make another Portal because the studio simply doesn't believe in the number three. That sounds ridiculous, but think about it. While Valve's produced a handful of sequels, it's never published a third follow-up to any of its games, no matter how popular those games are. It's not just Portal. Valve has yet to make a sequel to Team Fortress 2, Left 4 Dead 2, or, much to fans' chagrin, Half-Life 2. In fact, if you know anything about the video game industry, you know that Half-Life 3 (or, at the very least, the promised-but-never-finished conclusion to the Half-Life 2 episodic trilogy) is the single most sought-after game that'll never, ever be made. At this point, Half-Life 3's continued non-existence has become a running joke within the video game community. Some fans will always get excited by the prospect of a new Half-Life game, and they'll always be disappointed. Of course, Valve head honcho Gabe Newell hasn't made things better, joking in a Reddit thread that "the number 3 must not be said." Chances are t hat Newell and Valve are simply interested in other projects and don't actually have a vendetta against three itself. Then again, plenty of people on the internet contend otherwise — and, as Newell says, you can always believe what you read on the internet. Finally, here's the cold hard truth: Valve doesn't need to make Portal 3 because the fans are keeping the franchise alive without them. In 2011, Valve released a Portal 2 level editor. A year later, Valve followed up with the Perpetual Testing Initiative, which contained simplified tools for putting together Portal 2 puzzles and sharing them through Steam's Workshop program. Just a couple of months after launch, players had already created over 150,000 Portal levels—and that was over five years ago. There are thousands more ready to play now. Expect those levels to get better and better, too, because — thanks to Valve's Teach With Portals program — educators can use Portal 2 in classrooms to teach puzzle-solving, logic, and basic computer programming. Naturally, that's been a big hit with teachers and students alike, and an estimated 2,500 educators have enrolled in the program. These kids are literally growing up with Portal, and at least a few of them should be able to translate what they've learned into future Portal (or, at the very least, Portal-like) projects. Aside from products made with Portal 2's official level editor, there are also plenty of Portal fan games out there, including unofficial mods with brand new stories, a 2D Flash recreation, a version made entirely out of ASCII text, a portal-free gel-fueled multiplayer game called Aperture Tag, and Mari0, an unauthorized Portal and Super Mario Bros. mash-up. In short, there's no need to wait on Valve if you want more Portal. Download one of the various fan creations and start playing today. Portal's future lies with the people, and from the looks of things, the series is in very, very good hands.